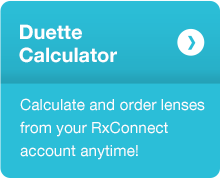 Duette Progressive offers a line of hybrid lenses customizable for the continuum of presbyopia, even for those with astigmatism. 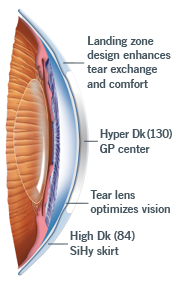 From emerging to advanced presbyopia, Duette Progressive hybrid lenses offer uncompromised GP optics with soft skirt comfort. The Center Distance design has FlexOpticsTM (an adjustable center distance zone size for different pupil sizes) to provide a customized vision solution for emerging and moderate presbyopes. 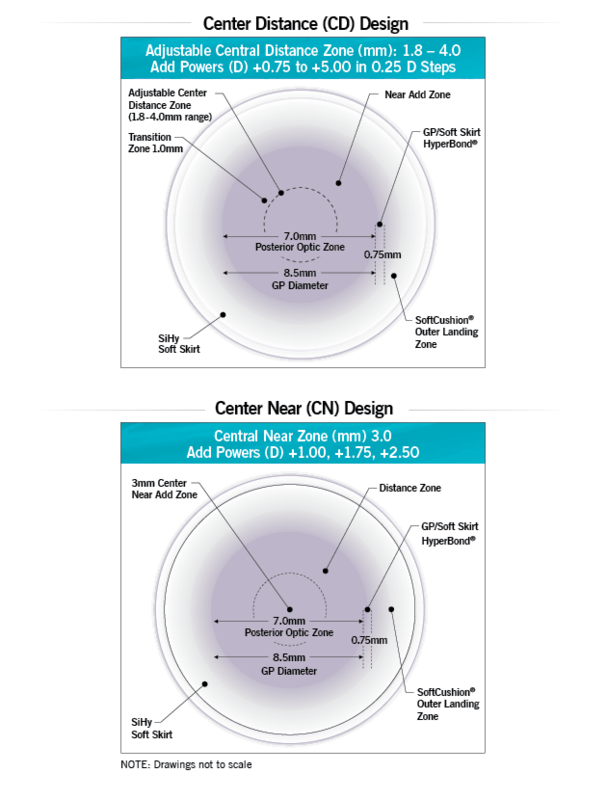 The Center Distance design also has add powers up to +5.00D. The Center Near design offers all distance vision for advanced presbyopes. Duette Progressive provides a seamless progression of powers. The hybrid platform delivers unmatched centration and stability of the GP optics. Vision is not affected by lens rotation. Offer your presbyopes a customizable lens they can’t get elsewhere.